Shou Sugi Ban House is a new kind of wellness sanctuary offering three-, four-, and seven-night retreats focusing on transformation, healing, and an exploration of one’s self, and it’s opening this May in Water Mill. This is not a spartan retreat model; guests’ days comprise many forms of wellness ranging from beach hikes, reiki, spa treatments, sound healing, and meditation punctuated by gourmet cooking demonstrations (menus curated by Mads Refslund, formerly of lauded Noma restaurant in Copenhagen). Nayara Tented Camp will open in Fall 2019 in Costa Rica. Each tent – designed by veteran luxury safari tent company Luxury Frontiers – will have a private plunge pool filled with naturally warm water from the nearby Arenal volcano’s hot springs, with open views of that volcano and surrounded by a sloth sanctuary. Inspired by the anticipated live-action Lion King coming out this summer, andBeyond’s new itinerary lets kids live out their own adventures in hakuna matata style through the Masai Mara, Serengeti, and Ngorongoro Crater. 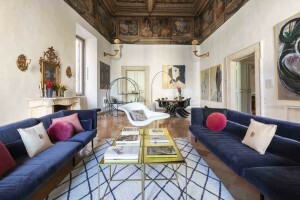 The Grand House, a hybrid venture between a luxury hotel and a home rental service will debut in March 2019 with a portfolio of maisons particulières situated in central Rome. Additional properties in Florence and Milan are scheduled to open by 2020. Napa Valley’s Louis M. Martini Winery will re-open in March 2019 following an extensive restoration of the historic space. One of the first wineries to open at the end of Prohibition, the new space will seamlessly integrate indoors and out and feature 30-foot-high glass walls with views into the barrel cellar. The Kensington is getting guests into nearby Victoria & Albert Museum’s Christian Dior – Designer of Dreams exhibit with The House Of Kensington Experience, a new three-night package including a stay in a Signature Suite, two tickets to the exhibition (hard to come by due to the show’s popularity), and a round of exclusive Dior-inspired cocktails at the hotel’s K Bar. With its announcement of the most popular spring travel destinations, global luxury travel network Virtuoso revealed that Americans are staying closer to home and seeking sun in Los Angeles, Miami, and Orlando. European destinations including Italy, France, and the UK remain popular while Switzerland, Greece, Morocco, and Japan are seeing the largest growth year-over-year. The Falconry Vineyard Tour is a new tasting offering at Bouchaine Vineyards in Napa Valley. Guests interact with owls, hawks, and falcons and learn how to call birds to land on their arm. The experience concludes with a wine-tasting in the garden. This summer, GoldenEye is introducing new guest experiences including yoga and guided meditation sessions that conclude with vibrational healing ‘sound bath’ using Tibetan singing bowls; as well as complimentary excursions to Firefly, Noel Coward’s hill home and rumored to be Captain Morgan’s lookout. Families traveling with little ones can explore London with a helping hand from their very own Mary Poppins with The Kensington’s new Suite Nannies package. A nanny from the UK’s leading nanny agency will arrive each day equipped with her own carpet bag filled with toys and surprises. Belmond British Pullman continues its celebrity chef pop-up dinner series including a July 20th event with Raymond Blanc of Le Manoir aux Quat’Saisons and a zero-waste menu with Michelin-starred chef Merlin Labron-Johnson. Beloved British baker Mary Berry will kick of the series with two afternoon tea journeys May 3 and 4th. CREST (Center for Responsible Travel) will hold its annual World Tourism Day forum on September 27, focusing this year on Impact Tourism. Located in the heart of Manhattan, The Chatwal, New York offers complimentary Chatwal-red bicycles for the active traveler to explore the city, armed with a bespoke NYC Bike Map and a picnic dinner. The Grand House will offer its guests the opportunity to fly an Agusta Westland 109 helicopter from Rome to Bolgheri Vineyards where Gelasio Gaetani d’Aragona Lovatelli, oenologist extraordinaire, will lead a private tour of the vineyards and cellars of Castello di Bolgheri and Argentiera. The tour ends with catching the sunset while flying over Monte Argentario on the way back to Rome. Guests can enjoy the varied landscape in and around Viceroy Riviera Maya with horseback riding, ATV tours, cenote (sinkhole caves) tours, bird watching, and jungle hikes. The Kensington’s Slice of the City tour, Snapshots of Kensington, brings guests to the most Instagram-worthy locations in the neighborhood. The local host will double as both a guide to the best photo ops and a personal photographer to help travelers get the shot. La Réserve Geneva’s private and super chic Venetian Motoscafo boat gives guests the most stylish was to get to the city center – a 15 minute cruise across Lake Geneva. Guests at Nantucket Island Resorts have complimentary access to Priority Bicycles to cruise the 30 miles of scenic flat bike trails on the island. Explorers are provided with a map of popular sites, including the oldest house on Nantucket – built in 1686; Sankaty Lighthouse – located in the historic fishing village of ‘Sconset; and Cisco Brewery – known for their local beers and live music. In downtown Napa, visitors can explore the Rail Arts District (RAD) – the 1.7-mile outdoor art gallery showcasing murals, sculptures, landscapes, and parks – beginning at Napa’s Oxbow District and continuing along the Napa Valley Vine Trail bike and pedestrian path and the Napa Valley Wine Train tracks. Settle into one of the coral cocoon-shaped chairs at Azimuth rooftop bar at Alamanac Barcelona for a sunset cocktail while taking in the 360 views of the city. andBeyond Bateleur Camp’s new gin bar gives a nod to the gin and tonic tradition dating back to colonial East Africa, when the classic choice for sundowners originated as a medicinal tipple to fend off malaria. With 16 different types of craft gin to pick from, guests can learn from the expert bartenders to create the perfect G&T with ingredients grown in the lodge’s organic vegetable garden. The Bellini, Venice’s signature cocktail composed of peach juice and prosecco, was invented by Giuseppe Cipriani, founder of Belmond Hotel Cipriani, in 1948. Today, guests can learn how to make them at the Gabbiano Bar with beloved bartender Walter Bolzonella, a protégé of Cipriani’s, who has been with the hotel for over 40 years. Sugar Beach, A Viceroy Resort offers rum tastings led by the in-house rummelier who teaches guests about the island’s rum history including Sugar Beach – the property sits on a former sugar plantation that produced the key ingredient for 17th century rum makers. No visit to Peru is complete without a Pisco Sour (or two), and guests of Belmond Hotel Monasterio can learn how to make the traditional cocktail with pisco lessons led by the resident barman. While tasting the different types of pisco, guests will learn the history and distillation techniques of the national drink before mastering their favorite variation. Sidecar, the Art Deco cocktail bar at The Westbury in Dublin, recently launched mixology classes with their white dinner jacket-clad head bartender (who also happens to be Daniel Craig’s doppelgänger). Resident mixologist at Nayara Springs, Karla Elizondo Castro, teaches guests a lesson in mixology the Costa Rican way – adorning cocktails with flowers and herbs from the on-property garden at this adults-only resort tucked in the rainforest. 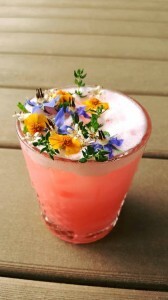 Her signature Guaro Sour (made with a local rum-style spirit) is garnished with Borraja and tarragon flowers. Guests at Viceroy Riviera Maya can participate in a hands-on Artisanal Cocktail Coaching class at the beachside Coral Grill & Bar and learn how to make property favorites like the Xcalacoco Wish (made with a crème tequila liqueur). Bartenders at The Christopher teach guests to make St. Barth’s potent Ti Punch with sugar, lime, and rum. Travelers can join a six-day Oceans Without Borders Small Group Journey to andBeyond Vamizi Island to participate in fish tagging, measuring, and monitoring reef systems. Guests of UXUA Casa Hotel & Spa are invited to become students again at MAMA Trancoso, an education initiative teaching the skills to identify environmental threats and the actions needed to combat these abuses. As part of the daily instruction, guests can collaborate with the small class of students on awareness campaigns and political activism through social media, short films, and community events. Guests aboard PONANT can join beach clean up excursions in the Seychelles through the brand’s new partnership with the Aldabra Clean Up Project (with its goal of combatting plastic pollution and preserving the Aldabra Atoll in the Seychelles). In 1997, Chris Blackwell of Island Outpost hotel established the Oracabessa Foundation, a nonprofit focusing on vocational training and environmental protection. GoldenEye guests who donate $1,000 to the foundation can have a tree planted on property, joining the likes of Johnny Depp, Kate Moss, and Bill and Hilary Clinton. andBeyond’s Phinda Impact Small Group Journey is a 7-day journey that combines wildlife conservation (with an experience like rhino notching or elephant collaring), interaction with the local community, and a day-in-the-life of an andBeyond ranger – from learning tracking to rifle training to sleeping out beneath the stars. April 2019: Napa Valley’s 8th annual Arts in April celebrates the region’s cultural offerings with more than 50 events taking place at wineries, museums and galleries throughout the month. April 26-28, 2019: The Nantucket Daffodil Festival Weekend honors the more than three million daffodils that bloom every spring on Nantucket. The Wauwinet will offer a Daffy Tailgate Lunch at TOPPERS and a Daffy Tailgate After Party. May 2019: Shou Sugi Ban House will open in Water Mill as a wellness haven offering multi-day programs. May 5, 2019: Guests can celebrate Cinco de Mayo at Viceroy Riviera Maya with a Mayan Cuisine Class and learn to cook the indigenous fare of the Yucatan Peninsula. For the first time in its 30-year history, The Wauwinet on Nantucket will undergo a multi-million-dollar renovation including a complete overhaul of all 32 guestrooms and bathrooms and updates to the property’s three intimate cottages and the lobby’s library, reopening in April 2019. 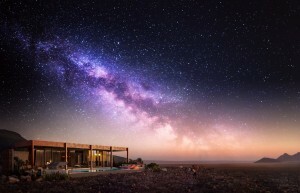 Surrounded by the mountains and sand dunes of the Namib Desert, andBeyond Sossusvlei Desert Lodge will reopen after a complete refurbishment on October 15, 2019 with floor-to-ceiling glass walls to take in the dramatic desert landscape. Fresh off a top-to-bottom refurbishment, The Christopher Hotel will launch three new villas in 2019, each featuring four bedrooms and a private swimming pool. Belmond British Pullman is hosting a Mary Poppins Returns-inspired afternoon tea journey on February 16, 2019. Families will enjoy balloon artists, face painters, and magicians as the train passes through the British countryside. This spring, The River Lee in Cork, Ireland will unveil a new look for the lobby, restaurant, bar, and terrace, spearheaded by O’Donnell O’Neill Design. PONANT will host a gastronomy and wine cruise in partnership with Ducasse Conseil and Chateau Latour aboard L’Austral from April 13-22, 2019. The ten-day sailing, ‘Gastronomy, Vineyards, and Grands Crus’ from Lisbon to Portsmouth will feature ports of call in Porto, Bordeaux, and Pauillac and two gala dinners hosted by chefs Xavier Boireau and Francis Fauvel. Guinot launched its Anti-Dark Spot Serum this month, a new two-week treatment that uses pure Vitamin C to reduce and brighten dark spots caused by sun exposure and aging. Carneros Resort and Spa in Napa has completed a renovation of its 94 cottages and suites – all featuring redesigned interiors and exteriors, new furnishings, and relaunched outdoor terraces that are complete with gas fire pits, portable mini-projectors, and telescopes. La Maison du Chocolat has created a new line of Valentine’s Day confections for this season’s Parisian Dream collection available in boutiques and online on January 24. Suspended in the treetops amid the 10-acre park at La Réserve Geneva is La Petit Réserve. Free for kids ages six-months to 13-years, including local day guests, the kid’s club has a wooden obstacle course, swings and slide, and a suspension bridge that connects to a treehouse complete with a fireman’s pole, game tables, toys, puzzles, and a coloring station. Royal Mansour’s dedicated Kids Club, Le Jardin de Lila, turns little ones into global citizens with Moroccan art activities, Arabic lessons, and a complimentary children’s book following Lila, a young girl exploring the hotel’s winding passageways and gardens. 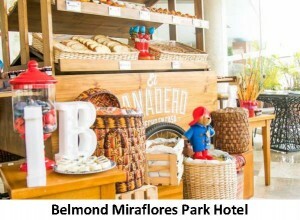 Belmond Reid’s Palace on Madeira welcomes its younger guests to partake in fun activities housed in a traditional Santana cottage with a private kids’ swimming pool where swimming and gymnastics classes can be arranged. andBeyond’s Bateleur Camp on Kenya’s Maasai Mara offers their fun and educational WILDchild program for the smallest safari-goers. Kids can learn to identify animal tracks and droppings, learn to build a fire the Masai way, and do some fun games and activities while learning about conservation and the role they can play in protecting the world’s fauna. With treasure hunts and coconut bowling for the 4-12 set and ping pong tournaments and sailing school for tweens and teens, St. Lucia’s Sugar Beach, A Viceroy Resort’s Sugar Club and Spice Club offer kids their own version of paradise. Thanks to its relaxing and mood-enhancing effects, CBD is a trending ingredient in spa treatments, especially prevalent in Napa Valley. Travelers in the region can choose from a selection of CBD wellness massages at Spa Terra at The Meritage Resort or enjoy a sound healing therapy paired with a CBD-infused wrap at Mount View Hotel & Spa. Viceroy Riviera Maya’s resident shaman oversees the Jardin Pak’al, the garden where he grows herbs used to treat guests at the Wayak Spa. In the K’óben (Mayan herb kitchen), he has individual consultations with the guests to determine their preferences and needs, before creating a personalized healing experience for them held next to a waterfall. andBeyond’s new Bhutan Yoga Retreat Small Group Journey allows travelers to immerse themselves in the spiritual heartland of Bhutan. Highlights of this 10-day journey include yoga and meditation, hiking Tiger’s Nest monastery in Paro, and exploring the fortresses and temples of Thimphu and Punakha, all led by an expert guide and specialist healing facilitator to help guests find balance of the mind, body, and soul. Located on the shores of Lake Geneva, La Reserve Geneve’s Nescens Spa is the city’s largest spa, at 20,000 square-feet. Travelers looking to improve their ski, tennis, or golf performance can take part in the special Fitness Preparation Program, which combines coaching, treatment, and nutrition. 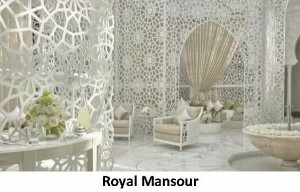 Royal Mansour has introduced Bespoke Hammam Treatments where each step of the traditional technique is personalized to the specific skincare needs of each guest using locally sourced ingredients – including purifying clay from the Atlas Mountains and roses from the Kalaat Megouana valley. Guests at Sugar Beach can get fit with the Piton Recovery, which starts with a hike of the Gros Piton. After descending from the peak, hikers are met by one of Sugar Beach’s personal trainers for a stretching session, rehydration with coconut water, and revitalizing snack of potassium-rich bananas before have a muscle releasing massage back at the spa. 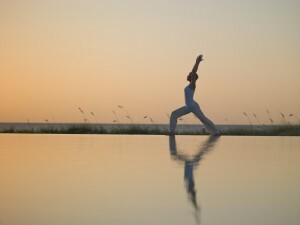 As part of The Chatwal, New York’s partnership with yoga and spiritual guru Eddie Stern, travelers will enjoy a new wellness program featuring nine 12-minute yoga sessions focusing on breathing techniques that balance the central nervous system, available complimentary through the in-room iPads. Guests at The Marylebone have complimentary access to Third Space, an on-site members-only health club. Guests can snag a coveted spot in the popular group fitness classes and use the 60-foot indoor lap pool – finishing with a healthy smoothie from The Juicery. Nayara Springs’ new Wellness Program incorporates healthful menus, yoga and meditation, and spa treatments so guests return home thoroughly relaxed and restored. Travelers who want an authentic St. Patrick’s Day experience can avoid the Dublin crowds and visit The River Lee in Cork, where a family-friendly three-day festival from March 16-18 offers parades, food, and music. In March 2019, travelers can join a six-day Oceans Without Borders Small Group Journey to andBeyond Vamizi Island to participate in fish tagging and measuring and monitoring reef systems. Guests will learn what it takes to be an andBeyond dive instructor or a marine biologist, spend time in the local community, and enjoy water sports such as kayaking and snorkeling – with all proceeds supporting Oceans Without Borders. Almanac Barcelona opened in February 2018 just steps from buzzing Passeig de Gracia. While Azimuth, the penthouse bar with 360-degree views of the city, is popular with locals, the rooftop pool and sun lounge are reserved for guests only. March and April temperatures are in the mid-60’s and it’s just before the summertime tourist rush. Nearing the end of rainy season, safari-goers will enjoy the greener landscape and abundance of wildlife in Botswana at Belmond Savute Elephant Lodge. The newly reimagined lodge now features a viewpoint overlooking the watering hole in Chobe National Park, where guests can enjoy breakfast with a front-row seat to the passing elephants. Dallasites can take advantage of the new direct Air France flight route launching on March 31, 2019, between Dallas/Fort Worth and Paris, and stay in the city’s 16th arrondissement at the La Réserve Paris Apartments. Families staying in the Apartments have the option to cook at home in the large chef’s kitchen, have exclusive access to the Roland Garros tennis courts (home to the French Open), and can ride bikes to enjoy an al fresco picnic lunch along the Seine. Napa Valley continues to celebrate Cabernet Season through April. For adults in the know, this is the best time to visit – think smaller crowds, special hotel deals and winery experiences, and brilliant yellow wild mustard flowers, purple lupine, golden California poppies, and crimson clover are scattered through the vineyards and along country lanes. Tokyo turns pink during the Cherry Blossom Festival from March 23 – April 27. Park Hyatt Tokyo is near several parks where guests can stroll under the pastel petals. For an adventurous and warm spring break destination, visit Costa Rica’s Arenal Volcano Park. Guests at Nayara Springs can have tours organized for ziplining, white water rafting, and waterfall hikes, among others, observe a variety of wildlife including sloths at the on-site sanctuary, and then relax on property with daily yoga, by their private plunge pool, or at the spa. …and don’t forget to get a sun-kissed glow before heading out for vacation with Guinot’s AutoBronze, an easy-to-apply tinted gel creating an even and natural-looking bronze without leaving streaks. February 8-16, 2019: In celebration of New York Fashion Week, Jacques at The Lowell will be offering a Fashion Week-inspired cocktail menu with drinks inspired by famous designers such as Oscar de la Renta, Chanel, and of course, Yves Saint Laurent (former owner of the Majorelle gardens). February 2019: Guinot launches its new Lift Summum Treatment designed to firm and smooth the delicate skin of the face, neck, and chest. 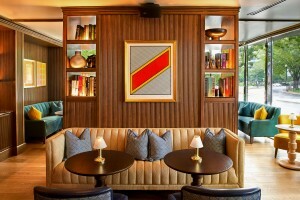 Spring 2019: The Dupont Circle in Washington, D.C. relaunches its new bar, lobby, and Dupont Suite after a multi-million dollar renovation. March 2019: Guinot launches its new Clean Logic Range, a cleansing skincare regimen formulated with anti-aging properties suited for fragile skin. March 15-18, 2019: Yountville Live is a four day event celebrating music, food, and wine with programming including cooking classes, wine-paired dinners, a red carpet gala, a street festival, and live music throughout the weekend. March 26 – April 5, 2019: During Easter break, Sugar Beach offers a variety of children’s programming including tie-dying, chocolate making, boat tours, and an Easter egg hunt. April 1, 2019: andBeyond’s 11-day Southern Chile Islands & Lakes Expedition kicks off in Santiago and travels to Chiloé Island, south into the Chilean Lake District, and ends with a stay at the new andBeyond Vira Vira. April 2, 2019: andBeyond’s first Endangered Eight Impact Journey departs to search for eight threatened species in India’s wildlife sanctuaries. andBeyond Tengile River Lodge opens on December 1 as a completely new property in South Africa’s Sabi Sand Game Reserve with nine suites raised above ground level, designed to give a floating impression over the riverbed. The Dupont Circle will relaunch in Washington D.C. in Spring 2019 unveiling a multimillion-dollar hotel transformation in collaboration with Martin Brudnizki Design Studio and Clodagh with the new Doyle bar and new restaurant. Jamaica’s GoldenEye will unveil its new FieldSpa this month with two new spa huts, a new hammam and yoga deck, and a selection of elixirs, juices, and healthy bites incorporating fresh ingredients from the hotel’s farm, Pantrepant. Belmond Cap Juluca in Anguilla and Belmond La Samanna in St. Martin will reopen in December 2018 following top-to-bottom renovations. Cap Juluca will have a new sea-view infinity-edge pool and a rustic beach bar dubbed The Cap Shack. La Samanna will have a new restaurant, two bars, a spa, and the largest private wine cellar in the Caribbean. Following a top-to-bottom refurbishment, The Christopher’s formal dining restaurant,Christo, led by Chef Nicolas Tissier recently relaunched with a focus on organic meats and vegetables. A gastronomic adventure through Southeast Asia, Eastern & Oriental Express is collaborating with four international chefs throughout 2019 to introduce immersive culinary experiences onboard the train. 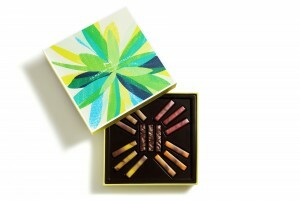 Highlights include edible art during a chocolate painting workshop with Singaporean pastry chef Janice Wong and a spices lesson with French chef Didier Corlou who combines the flavors of East and West. PONANT will host a new itinerary titled, “History, Art, and Architecture Along the North Sea” led by the General Director of the Municipal Museum of Bruges onboard the newest addition to the EXPLORERS series, Le Dumont d’Urville, departing August 25, 2019, exploring exhibits in Holland and Belgium. In December, Almanac Barcelona’s rooftop bar transforms into the Azimuth Winter Rooftop Lounge, a glassed-in winter wonderland with mulled wine inspired by the brand’s hometown of Vienna. With the Very Lowell Holiday Package, suites are decked out with custom holiday décor(stockings hung above the fireplace, trees lit, and holiday books in-room) and families can enjoy the city with VIP Tickets to Wollman Skating Rink and a Holiday Afternoon Tea in the Pembroke Room. andBeyond’s new seven-day Phinda Impact Small Group Journey offers conservation-minded travelers the opportunity to experience rhino notching or elephant collaring, interaction with the local community, and a day-in-the-life of an andBeyond ranger – from learning tracking to rifle training to sleeping out beneath the stars. With the firm belief that children are more receptive to the environmental challenges society faces today, UXUA Casa Hotel & Spa has launched a local initiative, MAMA Trancoso, for children between 10 and 12 years old to teach the importance of sustainability and respect for the environment. Guests are invited to join the students in their daily instruction before collaborating on creative content in the form of photography, music, and video to raise awareness of the threats to their surrounding environment. In 2005, Chris Blackwell, of Island Outpost hotels, established the Oracabessa Foundation, a nonprofit focusing on vocational training and environmental protection. Guests who donate $1,000 to the foundation can have a tree planted at GoldenEye, along with the likes of Johnny Depp, Kate Moss and President Bill and Hillary Clinton. Guests staying at Nayara Springs and Nayara Resort, Spa & Gardens in Costa Rica can visit The Proyecto Asis Wildlife Rescue Center to volunteer and help care for and feed a variety of animals. Back at the resorts, guests can also observe more than 15 native sloths at the on-property Sloth Sanctuary on property. For guests looking to support the local Mexican community, the artisan soaps offered byViceroy Riviera Maya’s Soap Concierge are made by local Mayan communities following ancient tradition with organic ingredients found on the Yucatan Peninsula. 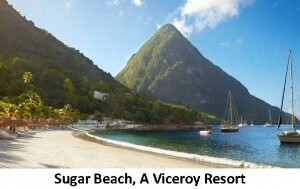 At Sugar Beach, A Viceroy Resort, guests can volunteer their time to give back to the community in the nearby town of Soufrière at the local soup kitchen. To celebrate 100 years of its exterior rosy hue, Belmond Mount Nelson Hotel‘s famed afternoon tea will serve pastel-pink treats, including raspberry-filled white truffles, wild berry tea Turkish delight, and pink pavlova paired with their own Mount Nelson Tea – a blend of six teas and rose petals from the on-property gardens. Guests of Royal Mansour can enjoy a traditional Moroccan afternoon tea featuring nos-nos coffee, a plate of sweet pastries, and a selection of Moroccan pancakes with thyme honey created by Royal Mansour’s pastry chef. Dalloway Terrace at The Bloomsbury has transformed into a cozy winter haven with seasonal tea offerings such as English Peppermint and 2nd Flush Muscatel, harvested high in the Indian Himalayas in the region of Sikkim. Guests can escape the cold with hot water bottles and Foxford woolen blankets, while sipping on warming tea in the fully covered and heated patio. andBeyond’s Tea & Tastes of Sri Lanka journey begins in the country’s capital of Colombo before traveling into Tea Country. Travelers will experience the tea-making process from the experts and sip on varieties of tea native to the region. 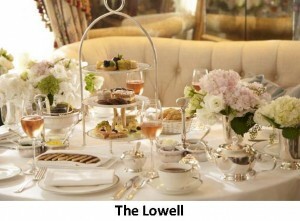 At the newly-renovated Pembroke Room at The Lowell, the Tea Sommelier can recommend a tea to each guests’ liking from French purveyor Dammann Frères, paired with elegant bites including tea sandwiches, caviar blinis, scones with homemade lemon curd and Devonshire cream, and macarons. Guests at Park Hyatt Tokyo can enjoy tea while taking in views of Mt. Fuji from the hotel’s Peak Lounge on the 41st floor of the Shinjuku Tower. The leaves are picked from the hotel’s very own plot 300 miles away in the Inokura tea fields in the city of Nara. The Ackerman Heritage House in Napa offers a traditional Sunday tea with finger sandwiches, pastries, and cakes all served on period-correct silver, linens, and tableware from when the house was built in 1888. The new Shou Sugi Ban House, a wellness retreat opening in The Hamptons this coming spring 2019, will begin each day with a tea ceremony. In addition to private sessions and a treatment at the spa, The Chatwal‘s Dip Into Wellbeing meditation sessions by Donna D’Cruz come with Sleep Kits with a fragrant candle, incense, power stone bracelet, a sleep mask, and a notepad with pen for journaling for a restful sleep. Travelers can unwind at Bardessono Resort & Spa with the Peaceful Sleep treatmentwith an essential oil bath, a calming body butter, and a warmed herbal pillow in their beds with smell of an aromatic candle to lull them to sleep. Park Hyatt Tokyo’s Good Night Sleep Stretch, a complimentary 30-minute program, is designed to prepare the body for restful sleep. It consists of slow stretches and breathing exercises to loosen muscles and bring the body into equilibrium. 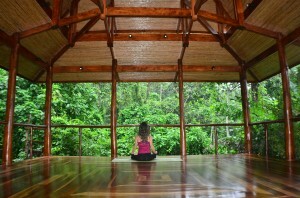 Nayara Springs, tucked below the Arenal Volcano in Costa Rica, offers evening yoga classes by candlelight in the yoga pavilion cantilevered over the rainforest. The soundtrack (chirping tree frogs and a babbling stream below) sets the audio scene for low-impact poses designed to relax the body in preparation for sleep. Solage Calistoga is a contemporary oasis with a spa that offers evening floating meditation called Aqua Vibrations in which a guest sits in a mesh chair, partially submerged, in the open-air geothermal mineral pool (96 to 98 degrees), gazing at the stars and moon, before heading off to bed more centered and relaxed. Guinot’s Crème Night Logic works throughout the night to relax the skin, creating a rested and refreshed complexion – as if waking up after a good night’s sleep. This moisturizer specifically acts at night (when the skin is in its resting and repairing phase) to neutralize the effects of stress, reduce tension, and deeply hydrate. Winter 2019: The River Lee in Cork, Ireland unveils an expansive renovation with an updated bar and restaurant. January 2019: Guinot launches its new Anti-Dark Spot Serum, a two-week treatment that works to reduce and brighten dark spots caused by sun exposure and aging. January 1, 2018: Guests at Sugar Beach, A Viceroy Resort can enjoy ‘Recovery Brunch’ with fresh food and hydration for a little revitalization to start off the year right. January 11, 2019: andBeyond’s Snow Leopard Expedition will depart to track the elusive snow leopard through the Himalayan region of Ladakh. January 12-20, 2019: The Napa Lighted Art Festival takes place throughout Downtown Napa showcasing lighted art displays. The Lowell’s ever-popular Pembroke Room, known for its chic Afternoon Tea and polished service, is relaunching in April 2018 – complete with a new outdoor terrace for alfresco brunching. 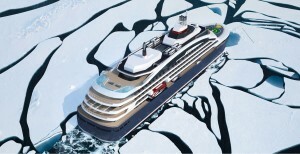 PONANT announces the first electric hybrid Icebreaker ship coming in 2021, which will safely cut through ice flow up to eight feet thick and travel to the true geographic North Pole (at 90 degrees North Latitude). andBeyond Phinda Homestead in KwaZulu-Natal will reopen on September 1, 2018 after a complete rebuild. This standalone safari lodge allows travelers a completely private safari experience, ideal for family or group travel – no sharing safari vehicles and total control over the day’s schedule. From March 1 through April 30, The Dupont Circle in Washington DC is celebrating the National Cherry Blossom Festival with a special ‘In Full Bloom’ package including a stay at the hotel, the chef’s cherry blossom themed welcome amenity, a $25 dining credit, and complimentary valet parking. Sugar Beach, A Viceroy Resort has officially opened two of the five ultra-luxe Beachfront Collection residences. Images of the new homes – complete with infinity pools and floor-to-ceiling glass windows – are available for stays now. Domaine de Manville in the heart of Provence received its first Michelin Star for its restaurant, l’Aupiho, helmed by Chef Matthieu Dupuis Baumal. Vista Collina Resort in Napa is projected to open Summer 2018 and will feature 145 guestrooms. Adjacent to the property will be the Village, featuring nine tastings room, a food and wine center, and a 16,000 square foot lawn for concerts and events. 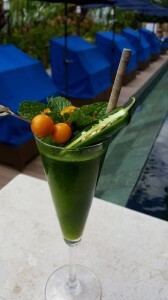 Jamaica’s GoldenEye launches veggie cocktails, featuring local produce from Pantrepant, the hotel’s farm. New elixirs include: the Cucumber Martini; Beetroot, Bourbon, and Scotch bonnet cocktail; and the Arugula and Celery Sour. Royal Mansour Spa has unveiled a new series of bespoke hammam treatments where each step of the hammam process can be customized beginning with three types of body wraps, two types of kessa gloves, and a variety of Leonor Greyl shampoos for varying hair types. Belmond has expanded its Italian portfolio with the acquisition of Castello di Casole, a historic castle hotel in the heart of rural Tuscany. The intimate 39-room hotel sits within 4,200 acres of farmland, vineyards, and olive groves – one of the largest private estates in Italy. Travel to Brazil is easier than ever with a newly-launched e-visa system for American travelers To make the most of a Brazilian vacation, travelers can book Belmond’s ‘Grand Tour of Brazil’ – a five-night itinerary that includes the brand’s properties on Copacabana Beach and in Iguassu falls – or go off-the-beaten-path with a visit to UXUA on the remote shores of Trancoso. Hotels are eschewing plastic straws for more sustainable options like paper or bamboo. According to The Last Plastic Straw project, 500 million straws are used and thrown away every day in the US, which is about 175 billion per year. Nayara Springs, set on the fringes of Costa Rica’s Arenal Volcano, only uses bamboo straws across the property’s restaurants and bars – mixologist Monica Gonzalez is on-hand to whip up poolside cocktails made with local fruits. The Doyle Collection’s London hotels (The Marylebone, The Kensington, and The Bloomsbury) just officially became plastic-straw-free and are now moving to roll out this policy brand-wide, from Dublin to Cork to Washington DC. andBeyond Kichwa Tembo Tented Camp and the new andBeyond Bateleur Camp (reopening this month after a complete renovation), both on Kenya’s Masai Mara, have discontinued all plastic straw usage – falling into line with their ethos: care of the land, care of the wildlife, care of the people. andBeyond’s new philanthropic-focused itineraries in Tanzania, Kenya, and South Africa give guests first-hand experiences with the locals in the community, like participating in school conservation lessons in Tanzania. Guests of Nayara Springs can visit the source of the resort’s chocolate at a local farm. The owners will teach travelers the process of chocolate-making. During PONANT’s voyages through the Northwest Passage, guests will have opportunity to meet with locals in charming Inuit villages to learn about the culture. Majestic Hotel & Spa has an exclusive relationship with local marine biologist Anna Bozzano, the only tour guide approved to visit the Barcelona Fish Market where she teaches about the market’s innerworkings. Connecting guests with the local community is elemental to every Belmond experience. Highlights include art lessons with Jose Luis Arias, a graduate of the local Instituto Allende, at the newly renovated Belmond Casa de Sierra Nevada, and a walking tour with a former prison guard of Nelson Mandela’s that begins at Belmond Mount Nelson Hotel. Sugar Beach guests who hike the Gros Piton follow a guide from the local village up the two-hour climb. Thanks to Kinloch Anderson, kilt maker to Her Royal Highness the Queen, travelers on Belmond Royal Scotsman are swept to the showroom for a private fitting, and a fully customized kilt arrives at their doorstep 8-10 weeks later in the family tartan or a pattern from the train. During their journey, guests will find a complimentary set of Highland Dress (kilts for men, skirts for women) awaiting them in their train cabin. One of the new Beachfront Collection residences available to buy or book for stay at St. Lucia’s Sugar Beach will have a waterslide connecting an infinity pool to a lower level hot tub and yoga deck. Guests who book the top, three-bedroom suite at the White Elephant, White Elephant Village or The Wauwinet will receive the keys to a BMW for the duration of their stay. At andBeyond Mnemba Island, instead of your typical tray of room service arriving in your room, the lodge will dig a custom “sand castle” dining room on the beach in front of your suite and serve freshly caught seafood surrounded by lantern light. Located on the shores of Lac Léman, La Réserve Geneva has its very own Venetian Motoscafo boat that takes guests to go to and from the city center. Majestic Hotel & Spa’s Royal Penthouse Suite – the largest suite in Barcelona – is home to a Bar Au Parfum stocked with five 200 ml bottles of Atelier Cologne, available for use throughout the stay. Guests can take home a complimentary leather case, engraved with their name and filled with 30ml sized bottles of each of the colognes. April 2018: Belmond La Residencia will unveil a new suite created by fashion designer Matthew Williamson. 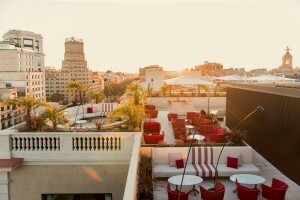 At the Majestic Hotel & Spa in Barcelona, you can practice yoga on the roof with panoramic views of the city from the hotel’s prime location on Passeig de Gracia. From there, you’ll see Barcelona’s famous mountains and Gaudi’s modernistic Sagrada Familia, all while staying above the bustle of city life. 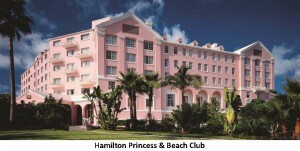 The Majestic Hotel & Spa offers both group classes and private lessons that can be adapted for any level of experience. At COMO Shambhala Estate, you can take complimentary classes or schedule private yoga lessons in a studio overlooking the Bali forests and mountains. There they practice Hatha Yoga, which combines asanas (postures), better breathing, and meditation. At COMO Shambhala Estate, a 23-acre property set on the River Ayung, yoga is just one part of the holistic wellness regime that begins the moment you set foot on the grounds. 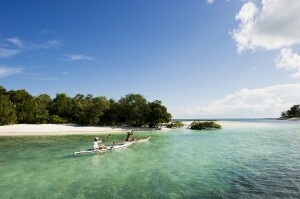 At COMO Parrot Cay, yoga classes are offered right on the beach. There’s nothing like the sound of the surf to soothe your senses and get you in a meditative state of mind, and the resort’s location on a private island is the ideal place to find inner peace. The only thing better than Yoga Day is five yoga days, COMO Parrot Cay offers five-day yoga retreats with top instructors like America’s Rodney Yee to allow you to fully dive into the experience. Nayara Springs has a pavilion set in the heart of the Arenal Volcano National Park in Costa Rica, where you can relax and enjoy one of the many complimentary group yoga classes or a private yoga lesson with an experienced instructor. When you’re completely surrounded by the forest and fresh air, listening to the humming birds sing, and feeling the warm Costa Rican sun on your body, you’ll feel at peace with the world. Shortly after Istanbul’s historic Nisantasi neighborhood was settled by palace staff and members of royalty from the Topkapi Palace, the area began to thrive. 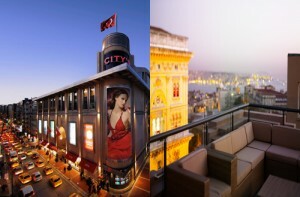 With its immaculate reputation favored by the upper echelons of Turkey, Nisantasi has continued living up to its legacy and is still one of the most glamorous and preferred neighborhoods in Istanbul. From luxurious boutiques to internationally acclaimed fashion designers such as Prada, Cartier, Louis Vuitton, and more, Nisantasi is Istanbul’s trendiest shopping district. Out of the four main avenues in the district, New York Times writer Kavitha Rao shares some of the most popular shops in the area, many of which are popular among top fashion icons such as supermodel Gisele Bündchen and actress Meg Ryan. After a long – but so worth it – day of shopping in one of the most famous areas in the world, give your feet a break and head to Park Hyatt Istanbul, conveniently located in the heart of Nisantasi. Better than a home away from home, Park Hyatt Istanbul provides all the relaxation activities one expects from a Park Hyatt, including an outdoor pool, luxurious spa, and a state-of-the-art fitness center. After some down time, indulge in some cocktails, tapas, and outstanding meals at Park Hyatt’s restaurant, lounge, terrace, and wine bar. Yes, everyone looks better with a golden glow. The drawback is that spending hours in the sun takes a toll on skin. We asked Guinot’s Director of Education and keeper of myriad beauty secrets, Elizabeth Murchison, for her tips on how to protect your skin (and still look fabulous!). What does sun exposure do to your skin? Sun exposure causes pigmentation and uneven skin, ages the skin, and could cause serious problems such as skin cancer. The best ways to fight sun damage is to apply an SPF of 15, 20, or 30 approximately 20 minutes before leaving your home (the actives need time to settle in the skin). If you are planning on being out for a day at the beach, running errands, or taking a fun walk in the neighborhood, you should apply your SPF every two hours as sun protection has minimized. Over time, the effects of ageing, stress, poor diet, smoking, and lack of sleep all become visible on the face, causing the skin to lose its vitality and radiance and reveal signs of fatigue. In just three minutes, Guinot’s newest product, Masque Dynamisant, will combat this problem by not only renewing the skin’s natural radiance, but also revitalizing, moisturizing, and illuminating the skin for a burst of energy for the face. The combination of mint and eucalyptus essential oils refreshes the skin to restore radiance and vitality. AHA Complex eliminates dead skin cells and brings forth new cells to illuminate the skin. Dynalift, or Sorghum extract, forms a film which coats and visibly lifts the skin’s surface. Lift Firming Complex combats skin laxity, creating an instant and intense firming effect. All the while skin is moisturized with Guinot’s Hydrocyte Complex, the biological moisture source that actively hydrates cells at each level of the skin, leaving faces feeling supple and refreshed. Perfect for a quick fix after a late night, give the skin’s complexion a boost of radiance and return to work looking and feeling refreshed. The Masque Dynamisant is also paraben-free and has not been tested on animals. Apply on the face morning and/or evening, taking care to avoid the eye contour. Leave on for at least three minutes, but no longer than 10 minutes. Masque Dynamisant comes in a 1.6oz tube and is priced at $39. Guinot products are carried in over 1,000 spas and salons within the US. To locate a spa, visit www.GuinotUSA.com. Who wants to carry an extra weekend bag just for beauty products? 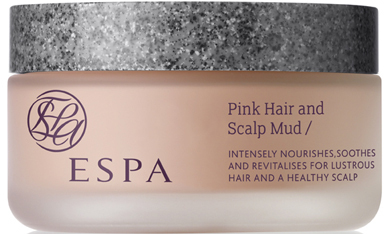 Forget loading up on waxy drugstore specials and simply tote around ESPA’s Pink Hair and Scalp Mud, the classic summer savior. This hero product is a super multi-tasker and can tackle a handful of summer beauty woes. Along with the rest of the newly reformulated ESPA products, the new Pink Hair and Scalp Mud is 99% natural and free of synthetic color, fragrance, and parabens, phthalates, DEA, TEA, mineral oil, SLS and SLES, silicone, propylene glycol, and petrolatum. This is the Mud’s first concern. Hair tends to dry out in the summer. Too much salt, sand, sun, and chlorine are the culprits. Slather some of this nourishing pink balm on dry or damp hair, then go about your business (clean the apartment, paint your nails, catch up on the latest celebrity gossip…). Leave it on for at least 20 minutes, then rinse. You’ll immediately feel how much healthier, smoother, and softer your hair is when you start to rinse it off. You can also comb it through hair before sunbathing or swimming to protect from damaging chlorine, UV rays, and environmental pollutants. Did you get to the share house and realize you didn’t bring any shaving cream? The Pink Hair and Scalp Mud makes an excellent shave mud! Shaving cream can actually dry out your skin, so for a closer shave and a softer, more moisturized end result, the mud is perfect.